We don’t need to wait for 100 years to celebrate. 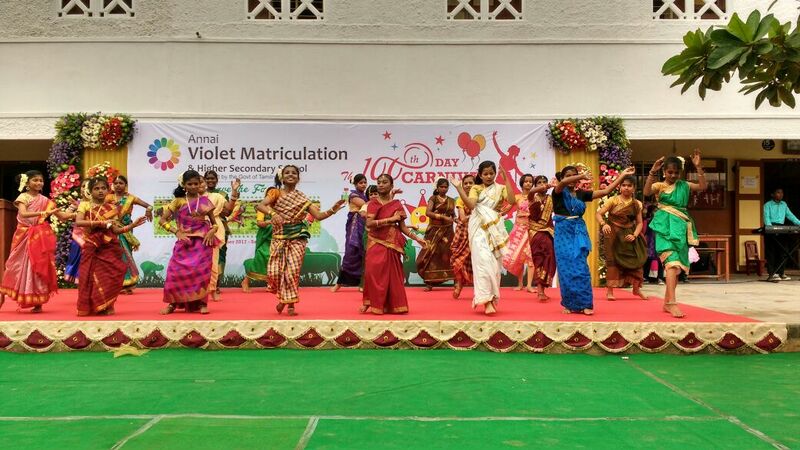 Annai Violet Matriculation Higher Secondary school celebrates the 100th day of each academic year. This year the day was celebrated on October 14, 2017. This day gives an opportunity for the old students to mingle with the new ones. The new students are given chances to prove their talents. Every year the 100th day is celebrated with a theme. The theme for this academic year is to ‘Save the farmer’. More than a theme, this has been a social issue for a long period of time. The 100th day carnival began by 9.30 a.m. 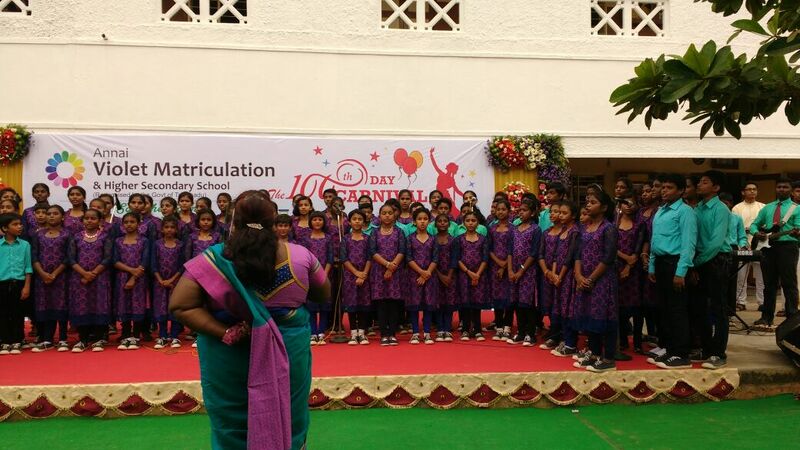 The School band welcomed the chief guest Dr. Mrs. Miriam Samuel, Head of the Dept. of Social Work, Madras Christian college who is also a doctorate in mental health. Mr. N.R.D. Premkumar, secretary of Violet Group of institutions and Mr. P.E.R. 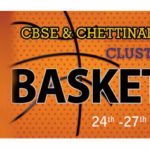 Premchand, Joint secretary of Violet group of institutions were the guests of the occasion. The principal of the school Mrs. Lydia felicitated them. The invocation song was melodiously sung by the 100 voices of the school’s choir. Giving thanks to the creator, the School Pupil Leader and the Asst. School Pupil Leader P. Shruthi and Noel Mark Abishek gave the welcome address. The students recited 100 of everything i.e., 100 exotic flowers and crops etc., The school students depicted the sufferings of farmers through a wonderful dance performance. The chief guest Dr. Mrs. Miriam Samuel’s speech was a change making one. She stressed about the suffering of the farmers and all what the students and parents should do to save the farmers – Without a farmer, there would not be any professions existing. We are not supposed to waste our food. 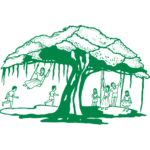 We have the responsibility for the development of agriculture in India. The school had also invited farmers Mr. Loganathan and Mrs . Shanthi from a village near Gingee. The chief guest and the school dignitaries felicitated them. Mr. Arun Raj, Tamil master conducted a small interview session with them to know how much they suffer under the hot sun to bring food to our table. They heartily thanked and appreciated the school teachers, students, principal, dignitaries and the chief guest for giving them an opportunity to interact with them. 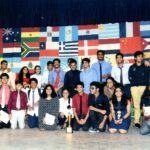 The participants of recitations were awarded certificates and medals. The release of the school magazine 360 was released by the chief guest along with the two farmers. The inaugural of the exhibition – Farmers land was done by the chief guest. The parents and the chief guests were enthralled to see the exhibits, Bull ride and much more. The money collected from the carnival was given to the farmers. They received it with great joy in their hearts. 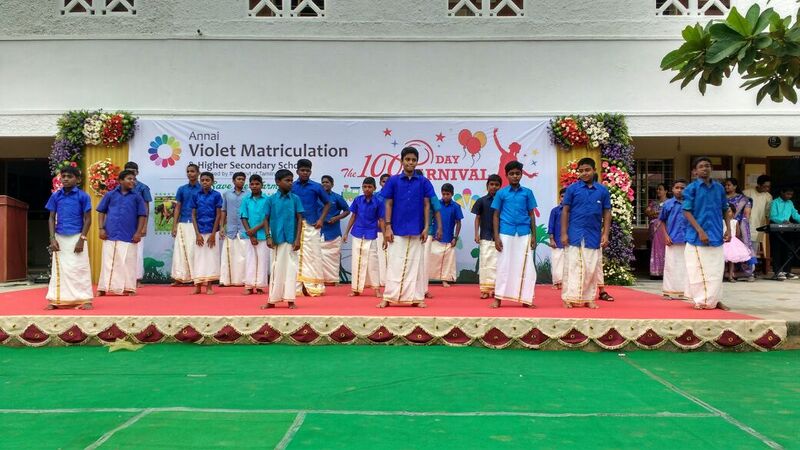 As this has been a social issue for a long time, the parents praised the school for taking up this initiative and hoped that this carnival will make a change in the minds of people.